Enter your email address below to receive a notification when Tennis Trunk starts accepting new sign-ups! Enter your email address below to receive a notification when Tennis Trunk is accepting new sign-ups again. Your initial order will ship within 1 business day. After that, your subscription will arrive on the 1st or 2nd of every month. 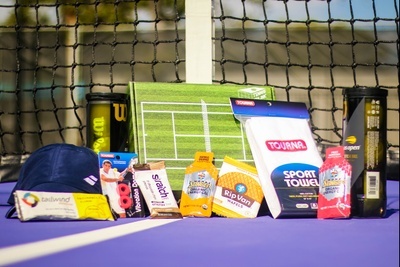 Start your month will all the tennis gear you'll need and more! 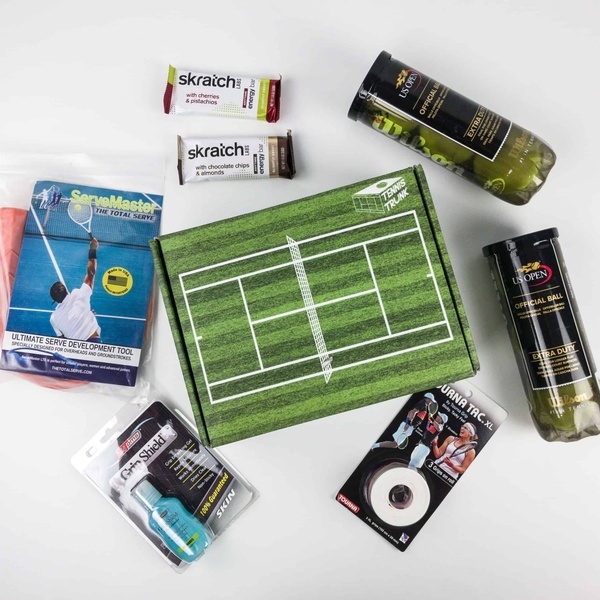 With Tennis Trunk, you get a tennis box with 6-8 carefully selected gear and equipment delivered right to your door. You always get two cans of tennis balls and the rest changes each month. 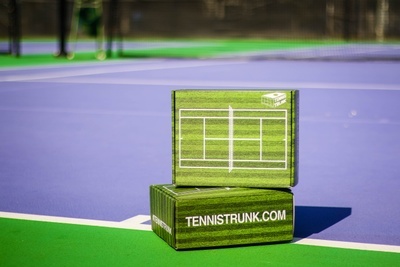 After opening your Tennis Trunk the only thing you'll want to do is rush to the courts! 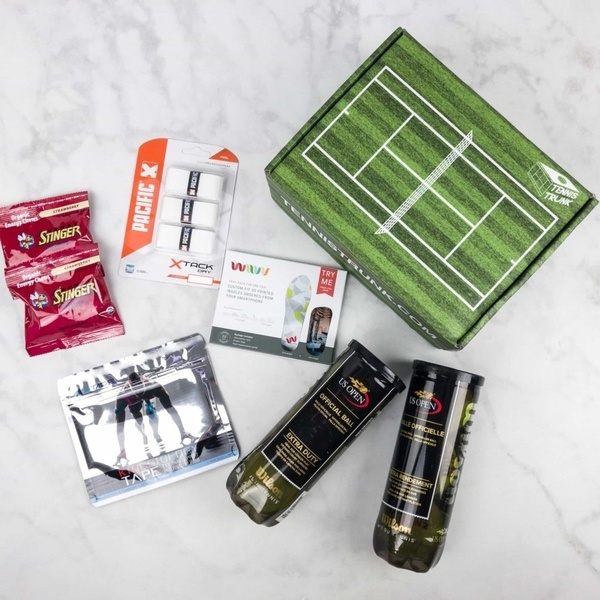 Get motivated to play more tennis! My kids gave this to me for Christmas. I have received my third trunk. I have found the items worthless except the two cans of balls. This last box came with a seat cover for one car seat, two snacks, a small stress ball and two cans of balls. 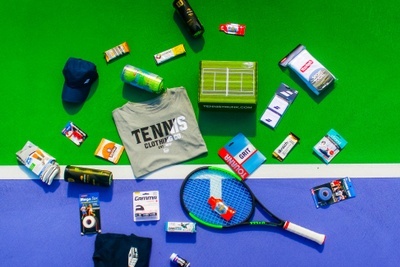 Amazing tennis gear every month! Got this for my dad on his birthday and he loves it! He is already looking forward to his next box. Also, the customer service is just amazing. I had some questions and the staff was so fast in their response, and they really went out of their way to make sure we were happy with our experience. I highly recommend! 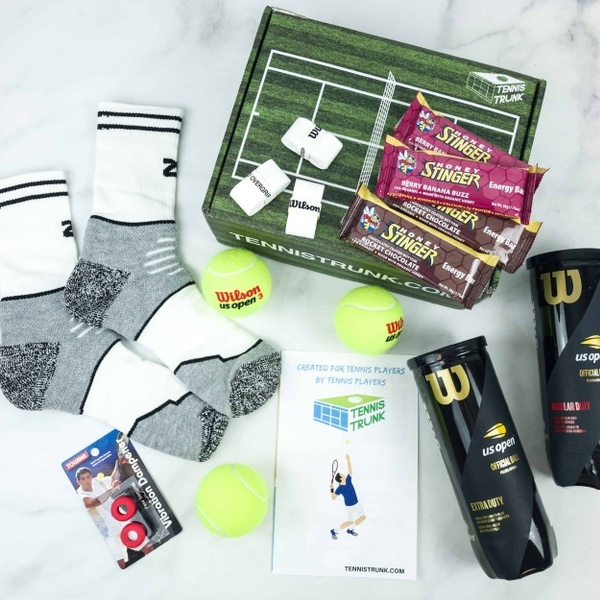 The most comfortable tennis socks you have ever worn, the same dampeners Sampras used, a few energy bars, a 3-pack of overgrips and balls. Improve your serve, keep your hand dry, replace your overgrips every 12 sessions, snack on some healthy bars, always have a balls in stock.